if your teenage years ended before windows had a start button, times have changed. today's adolescents face graduated requirements that impose a learner's permit and intermediate license before the full-fledged version. 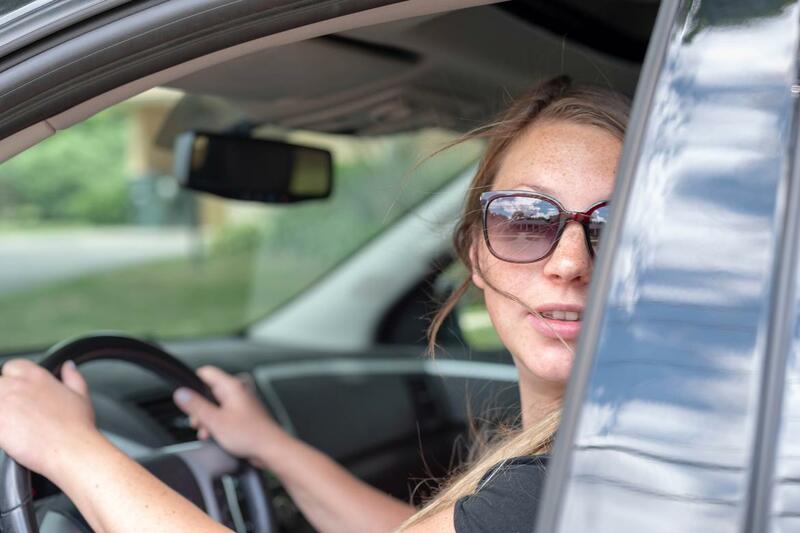 depending on your state, that means adult supervision for permit holders and, for intermediate-license holders, some combination of restrictions on cellphone use, the number of passengers in the car and nighttime driving. the problem? nearly 1 in 4 parents admit they don't always enforce those restrictions. that's according to a new survey by insure.com, which queried nearly 1,000 parents of teen drivers. seventeen percent of respondents said they sometimes don't enforce teen-driving laws, while 5 percent admitted they never enforce them. moms are better than dads at always enforcing restrictions (80 percent versus 74 percent), the website found. but 7 percent of moms admitted they fail to enforce such restrictions at all, versus 4 percent for dads. lack of enforcement didn't always signal lack of effort. insure.com said the no. 1 reason parents didn't enforce such laws was that their teen wouldn't always listen to them. lack of knowledge on the laws and a mindset that the laws are unfair were the second and third most-cited reasons. of parents who said they don't always enforce permit or intermediate-license laws among teen drivers, the top provisions going ignored are cellphone restrictions (49 percent of the group), passenger restrictions (45 percent) and restrictions on the time of day the teen can drive (36 percent). ages vary for such teens with restricted licenses. by the governors highway safety association's tally, all 50 states and the district of columbia have graduated license requirements with learner, intermediate and full stages. some states allow learners permits as early as age 14; others don't allow it until as late as 16. similarly, the minimum age for full licenses is as low as 16 in some states and as high as 18 in others. in between those thresholds is the intermediate driver's license. popularized over the past 20 years, such in-between licenses can go by a lot of other names depending on your state — among them graduated, conditional, restricted, probationary, provisional or youth operator, per aaa. specifics vary, but all of the programs impose legal limits on certain activities. the good news: many parents from insure.com's survey said they continue to impose limits on late-night driving, cellphone use and passengers even after a full license ends such legalities. the data support those decisions. the national highway traffic safety administration warns that the risk of a fatal crash multiplies in relation to the number of teen passengers in the car, while texting and driving increases the risk of a crash by 23 times. it's no wonder that insure.com notes that adding a teen to an insurance policy raises it a hefty 161 percent, or about $2,300 on average, according to the website.